Rockschool Bass Grades will make you the musical force behind any band, and earn you an internationally recognised qualification. You’ll learn all the technique you’ll need, from single-string riffs through to advanced arpeggios, and back it up with sound music theory, sight reading and improvisational skills. 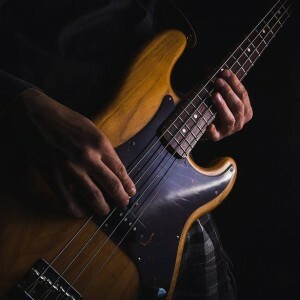 For every Bass Grade you can plot your stylistic specialism, meaning you'll develop an in-depth understanding of the style of bass guitar you love. Play your favourite bass guitar tracks in your exam; metal, indie, rock, prog… the choice is yours! Every Rockschool Bass Guitar Grade has been designed to give you a solid understanding of musical theory, enabling you to confidently articulate your musical talents. Start Rockschool Bass Guitar Now! To start Rockschool Bass Guitar, you’ll need a Rockschool book. Start with the Debut book and work your way up through the Grades or jump in at a level that’s for you! The course content for Rockschool Bass Guitar is listed in the syllabus guide, starting at Premiere (Let’s Rock) and going all the way up to Grade 8. For information on sitting a Bass Diploma Exam please go to the Performance Diploma page.